Before you choose the actual date, it’s important to first determine which wedding season is right for you. Do you imagine a breezy autumn day, a sunshine-filled summer fete, a gorgeous garden wedding in the peak of spring, or a cozy winter affair? We lay out a few factors you should consider when determining the perfect wedding season for you and your spouse-to-be. Consider the wedding location of your dreams. Are you imagining an outdoor garden wedding? Spring or fall is probably best. If you prefer to say “I do” with your toes in the sand, choose beginning or late summer (when the weather isn’t too hot) for a beach wedding. Southern wedding season is at its peak in the spring and fall, while California weddings happen year round. And if you want to go all warm and toasty, host a winter wedding at a cozy indoor venue. We prefer autumn in the Southern states, summer on the West Coast, Winter in the mountains, and springtime in the city. Determine which season will provide the ultimate comfort, ideal weather, and peak of prettiness for your particular dream location. Here are some of our Favorite Wedding Venues if you're looking for some inspiration. Which colors, floral and decor speak to you? The design lines are often blurred (and we’re known to break the rules on occasion), but if you like a darker moodier palette with neutrals, a fall or winter wedding might be for you. If your heart is set on bright pink peonies, you’ll want to choose spring when those blooms are at the top of their game. Although our resources are wide ranging, we always suggest going with the season for the freshest and most affordable florals. If you have the perfect wedding Pinterest board already in the works, do not discount what you’ve already pinned as inspiration. Take a peek at what sparks your interest and go with it. 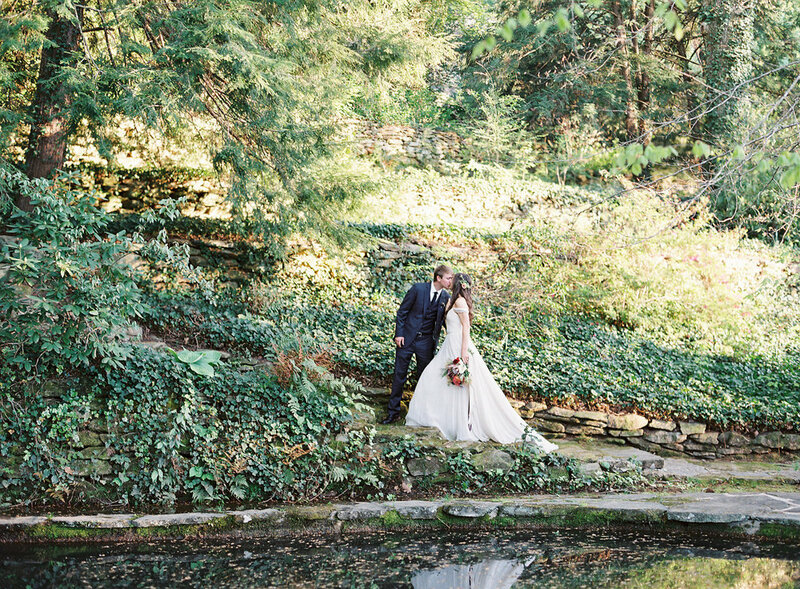 If every other photo is screaming an outdoor wedding, the warmer months are probably for you. On the other hand, if you’ve stockpiled images of baskets of throw blankets for your guests to snuggle up with, go with your gut and choose winter. Dressing for the occasion is always key, but this rule works the other way around. Listen to your inner fashionista. If you have a vision of what you, your wedding party, and even your guests will wear, choose a time of year that is appropriate. Black tie is seasonally universal, but we wouldn’t necessarily recommend it for an outdoor July wedding in Miami. However, if you’re in love with a lightweight strapless gown and you want your girls in a short dress, the warmer seasons are probably for you. Planning to wear your grandmother’s mink stole? The late fall or winter is your best bet. Spring, Summer, Autumn or Winter? Which season will you choose?